The PASO (Primary, Open, Simultaneous and Mandatory) elections were held on August 13 in Argentina. The process finalized the official lists of candidates for the legislative elections to be held on October 22. 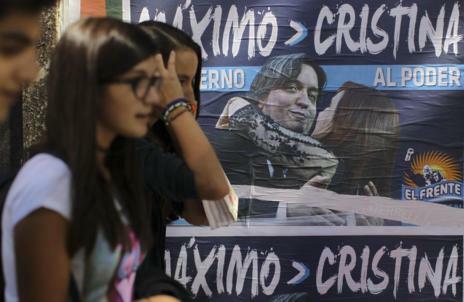 The pro-government forces led by Mauricio Macri and his party Cambiemos won in almost half the country, even in the Buenos Aires district, although by a small margin. Contrary to general expectations, Cristina Kirchner did not receive the majority support of the Argentinean people. These mid-term elections (the president’s mid-term) generally generate less interest among voters as a whole since no members of the Executive are elected. On top of this, the main parties did not hold primary elections at the same time, and thus in the vast majority of cases there was only one choice of candidate per party. In other words, the process ended up being a large national survey financed by the Argentinean state, and an interesting snapshot of voting intentions in the run-up to the October elections, when the Congress and Senate will be renewed. The former president’s decision to run in these elections was not only a result of her political ambition, but also due to judicial pressure including legal proceedings against her and her family since she left power. If she wins a seat in Congress, she will recover the immunity that could be extremely useful to her as a possible defense strategy when facing the justice system. To this end, she founded her own party outside the historic Peronists, leaving behind the Frente para la Victoria which had brought her–and her husband now deceased–to 12 consecutive years of power. The Frente de Unidad Ciudadana party will now be the new instrument by which she will try to win a seat as Senator in October. What is important in this election is how candidates are elected, and what the prospects are for the former president to return to Congress (where she had a seat before arriving at the Casa Rosada as president). The number of candidates elected to the Chamber of Deputies depends on the density of population in each province that chooses them. For the Senate, two senators are chosen by the winning party and one by the party that comes second (three in total) in each district; in other words, for the winning party the vote in each district (eight districts are participating in this election) represents that number 1 and number 2 on the party’s list automatically win a seat, and the second most voted party wins one seat. With a turnout of more than 70 percent of the electoral roll, higher than what the vast majority expected, the government party won in the City of Buenos Aires, its power base, where it received nearly 50 percent of the votes. It also obtained relatively favorable results in Buenos Aires Province (more than CFK), with a technical draw in the provisional count–the final count begins on Wednesday 16 August and will last for two weeks– and in the provinces in which it had allies, such as Mendoza, Jujuy and Corrientes, as well as others where Peronism or affiliated parties are in power, with very similar results in Nequen, Cordoba, Chaco, Entre Rios, La Pampa, Santa Cruz, Santa Fe and San Luis. In other words, more than half the country voted them into first or second place. Those casting a protest vote against Macri may now feel obliged to vote for Cambiemos to stop the progress of Kirchner. Strengthening Macri and would then contribute to a possible replacement of CFK as leader of Frente de Unidad Ciudadana. 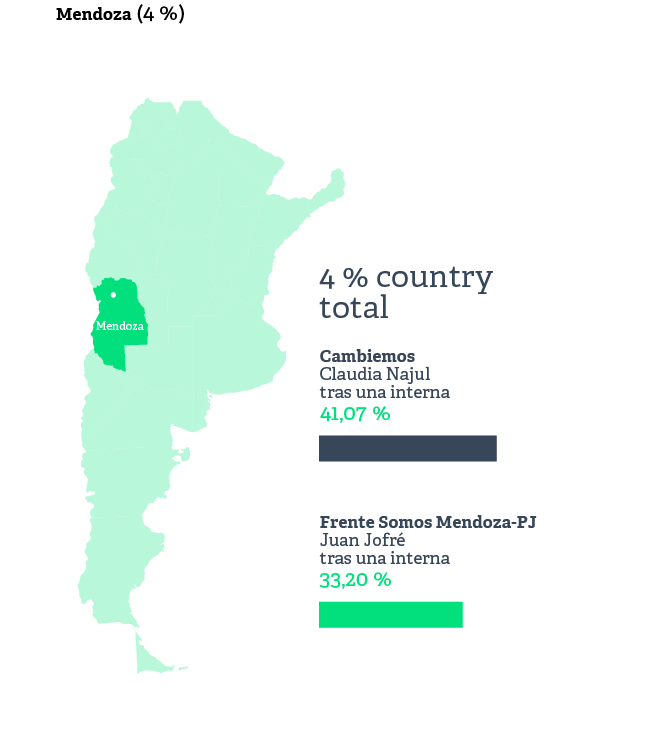 The importance of the swing vote: Argentina is a country that can be divided for voting purposes into three almost equal parts. One third is completely pro-Macri (which is at times anti-Kirchner); another third is totally Kirchnerist; and a final third (which may be the most volatile) can be placed in a band that is at present represented largely by 1País, a party that brings together former Kirchner supporters, socialists and Peronists. As well as the possible behavior of this electorate in October, there is a similar percentage that is expected to vote but did not do so in the mid-terms. This may also prove part of the explanation for the future election results. The second aspect has to do with Peronism. What “the return” of CFK to the political arena does is to impede and delay the reunification of the Partido Justicialista as a consolidated political party following the defeat in 2015. During its history, the party has been accustomed to a vertical power hierarchy (true to the military style of its founder, Juan D. Peron). Now its discussions are horizontal. It has always been said in this legendary party that whoever wins the election leads and the rest follow, but with a possible strengthening of Cristina, the new (and young) Peronist governors (in nearly half of the 24 districts mentioned above)will have to reset their guidance systems, like a navigator who is off course. Privately, many say that they will not accept submission to the mandate of the former head of state again, but “you do whatever you have to” for votes. In any event, CFK appears to be more a thorn in their sides for many of them and an advantage for the governing party in this respect. Last but not least, there is the reaction of the markets to a possible opposition win, something that appears unlikely with the numbers we have. After more than 12 years of Kirchnerist government, Argentina is handling its relations with the rest of the world calmly and trying to demonstrate reliability, stability and legal security. Through the President’s diplomacy it managed to restore the country’s reputation in only 20 months. The financial markets are the clearest demonstration of this. But at times the political situation and economic problems do not help: inflation fell from 40 percent in 2016 to around 24 percent in 2017, according to unofficial figures, but this is not yet being felt in the voters’ pockets; there is an exponential pattern of growth in the budget deficit, largely the result of the uncontrolled public expenditure (the dollar is now close to 18 pesos), which has obliged the Central Bank in recent weeks to intervene (the OECD has asked the government to limit these interventions); and some reforms that will be vital for the coming years (such as labor, fiscal and tax, and pensions). All the above is affecting the election strategy and means that a possible win or parliamentary seat for CFK in the elections will generate more doubts about the viability of Macri’s administration over the next two years. Government’s support: Only two years after coming to office and having taken some unpopular measures to knock the economy into shape, the government has received the support of the majority of the people of Argentina. Its candidates won a majority in Cordoba (the second biggest population), the city of Buenos Aires (fourth) and Mendoza (fifth). It also won in districts that have traditionally been hostile, such as San Luis, Entre Ríos and Santa Cruz. Polarization increases In Buenos Aires province, where 37 percent of Argentina’s electoral poll lives, nearly 70 percent voted in favor of Macri (Esteban Bullrich) or Cristina Kirchner. The party receiving most votes that is not identified either with the current administration or with the previous one ended up in third place, with fewer than 15 percent of the votes (Sergio Massa). 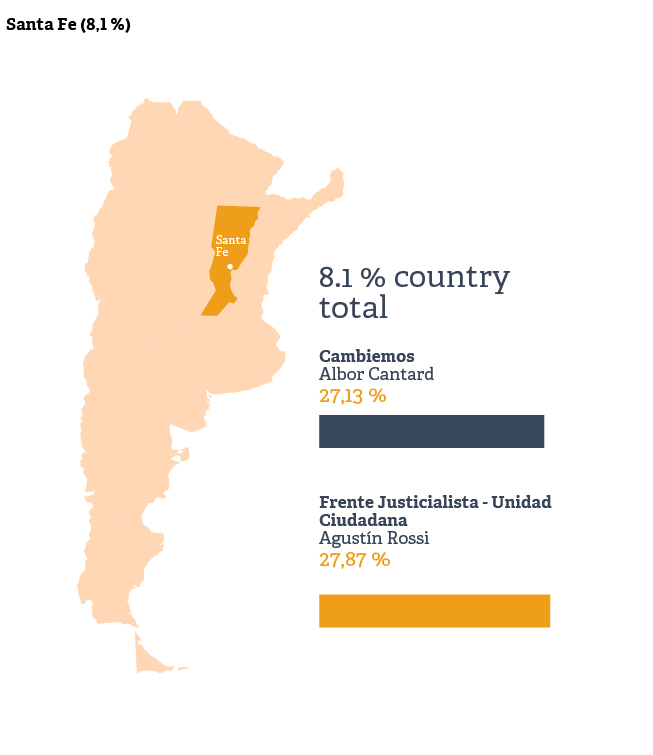 Controversial technical draw in Buenos Aires Province: At the start of the count in the most populous district, the government’s candidate was 6 points ahead of Cristina Kirchner (37 to 31 percent). When the advantage fell to 0.28 percent, the data loading was halted. As a result, both the leaders of the current administration and that of the previous one claimed victory. With 9 million votes cast, only 7,000 separate one candidate from the other. To know who won, we will have to wait for the final recount that begins on Wednesday and will end within around two weeks. Senate: Eight provinces choose their 3 senators (24 seats in total) in October. 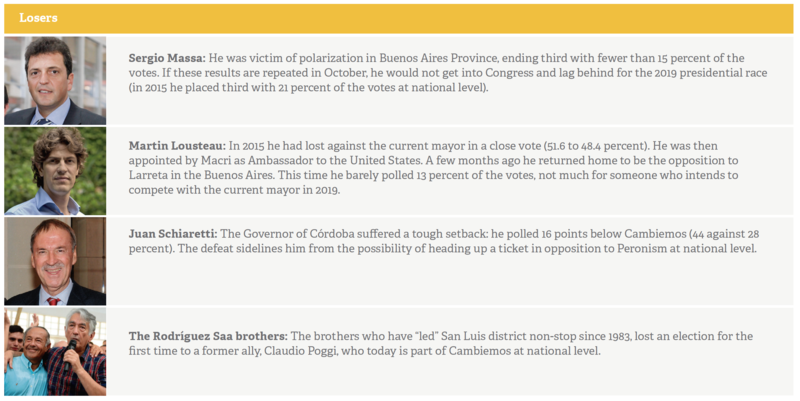 If these POMA results were repeated, Cambiemos would win in 4 and come second in another 4. Thus it would take half the seats in play (12) and increase its presence to 27 senators, 10 seats short of an outright majority. Chamber of Deputies: Half the house is being renewed (127 seats). If there are no substantial changes in October, the government coalition will increase its seats from 85 to 104 or 105. However, this growth will not give it an overall majority (129 seats), so it will have to reach agreements with other parties. Overall, with this trend, it would have fewer groups with which to negotiate bills, which is of some importance. Congress 2017-19: Although the government extends its presence in both the Senate and Chamber of Deputies, it will not dominate either of the houses until 2019, when presidential elections are held again and the seats in parliament are renewed. The tactical vote: The supporters of candidates with little chance of winning a seat in Congress could shift to more attractive options. 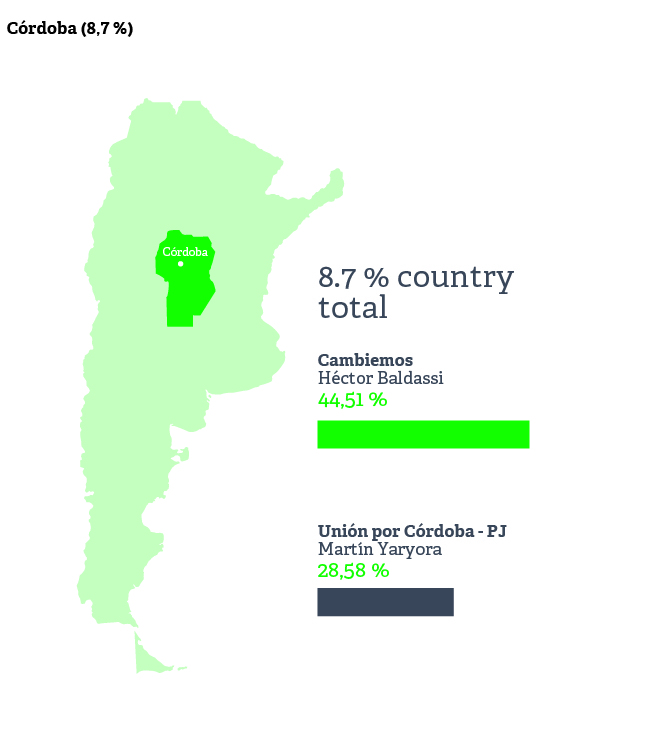 For example, in Buenos Aires Province, where the margin was very close, the followers of Sergio Massa (1País, third place) and Florencio Randazzo (Frente Cumplir, fourth place) could play a key role in breaking the close result between Bullrich (first place) and Kirchner (second). 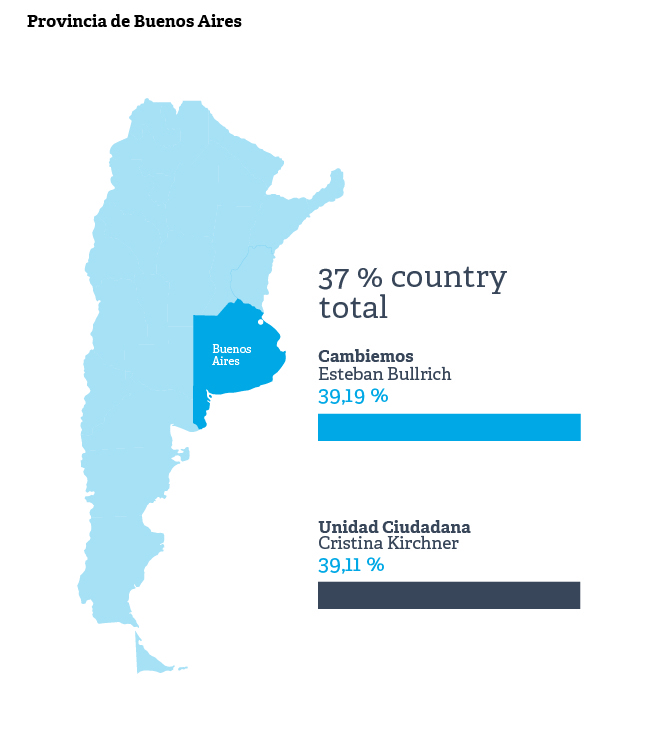 Percentages: According to some analysts, between 3 and 4 percent of those who voted for Bullrich and Kirchner could switch their vote in October, while the percentage for those who voted for Massa and Randazzo is as high as 75 percent. Citizen participation: Although it was a mid-term election in which there were hardly any primaries, the turnout at the polls exceeded many people’s expectations. Nearly 75 percent of those eligible voted and this figure is expected to be 5 percent higher in October. These “new voters” will also be key for the final figures in the general elections. An improving economy: The government trusts that by October there may be consistent signs of growth: that the limited improvements in the macroeconomic indicators in August will be noted solidly in the pockets of the citizens within two months. The first step is to emerge from the recession and to make sure that people are aware of it. The Central Bank is also expected to have to intervene less in the market so the dollar exchange rate can stabilize at not more than the current 18 pesos over the coming weeks. Although this election only serves to define the candidates for the legislative elections in October, if we examine the results it can be seen as a tool for consolidating the position of the governing party. Widening any rifts to show up marked contrasts is an example of a trend in Argentina that is related to the legacy that Macri could leave as president. His administration’s main challenge is to make a change in the paradigm, a change in the generation of leaders and a change that helps re-establish the country’s stability. Macri has the option of running again in 2019, but if the threat of Cristina Kirchner is still there, he can count on the current star of Argentinean politics, the governor of Buenos Aires, Maria E. Vidal. 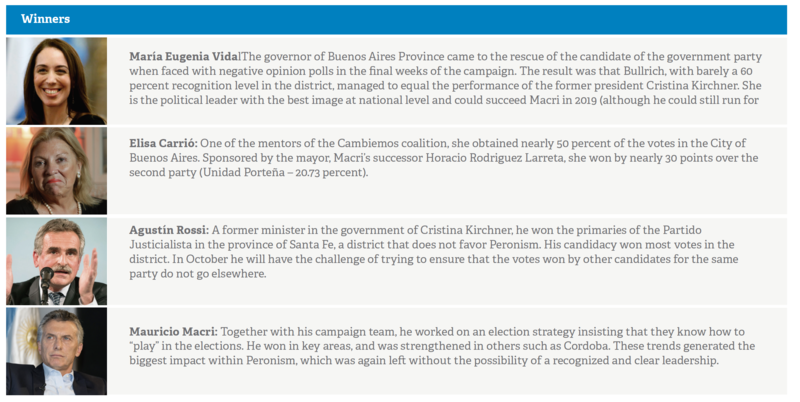 The former deputy leader of the Buenos Aires government took the weight of the provincial campaign on her shoulders, and her influence was actually much more clearly noted in the final part of the process following various mistakes by the Cambiemos candidates. 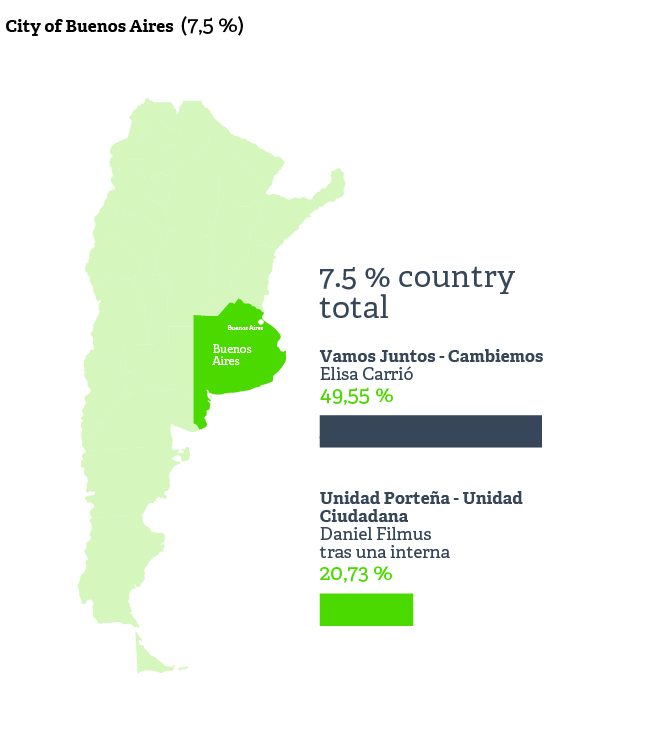 For the business world, the mere announcement that CFK would be running increased the country’s risk by 70 points. Given the results of last Sunday, some calm can be expected that could last a couple of weeks. The positive aspects include the non-recurring intervention of the Central Bank to control the dollar exchange rate (the dollar is part of Argentina’s culture of saving and purchase); the reactivation of other sectors of the economy in addition to construction, public works and automotive industry; and the increase in applications for residential mortgage loans. With the consolidation of Cambiemos at national level, the political instability of Argentina is such a major concern of the public debate could be relegated to second place. The government is consolidating its position despite the fact that its upcoming challenges are in the area of reforms. The small margin by which it won in Buenos Aires Province still means it is dependent on agreement with the opposition for its next steps. Another question is who it will occupy the other seats, given the results of the “new governors” in the provinces. They can only be said to have won the elections in San Juan, La Rioja, Tucumán, Salta and Formosa with the eternal Gildo Isfran. At the same time on the agenda is the law on criminal liability in business, which is being debated at present, and the new financial markets act, key for attracting new investments. 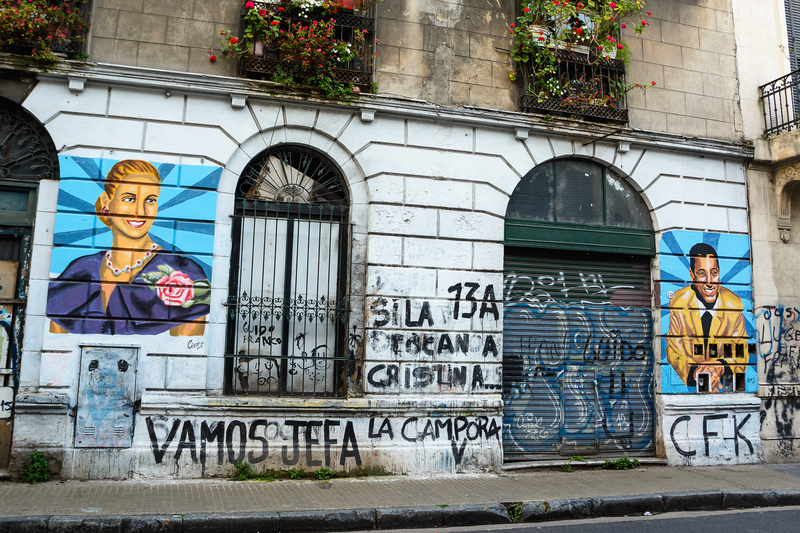 The recent PASO elections were only internal in nature, but they serve to offer electoral support for the government of Cambiemos and the role of Mauricio Macri as president and political leader. In addition, these results also suggested a more reliable path for Macri to continue to position himself as a regional leader, putting paid to the idea that if Argentina does not change course it could become another Venezuela (a threat used by the government itself internally to win this election). 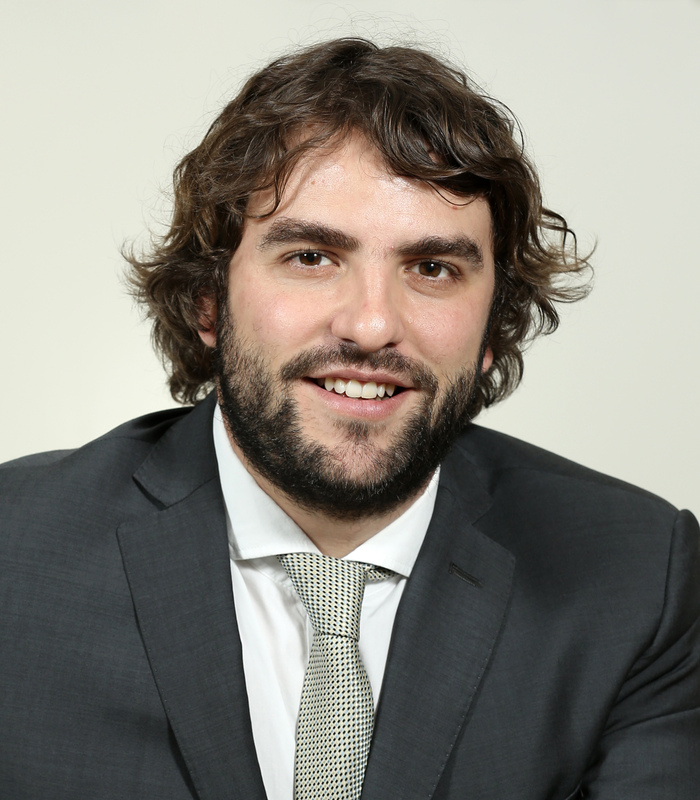 Mariano Vila is Director of Operations at LLORENTE & CUENCA, Argentina. He is a graduate in Politics from Universidad Católica Argentina, and is completing a Master’s Degree in Communications Management in Universidad Austral. Before joining LLORENTE & CUENCA he headed up the Public Affairs department of Edelman Argentina, where he worked with clients from a variety of sectors. He has also worked in the Ministry of Tourism, where he held a number of positions, including responsibility for institutional relations of INPROTUR and the promotion of Argentina in remote markets. In addition, he is a member of the Corporate Committee of the Public Relations Council and writes opinion columns in certain media. 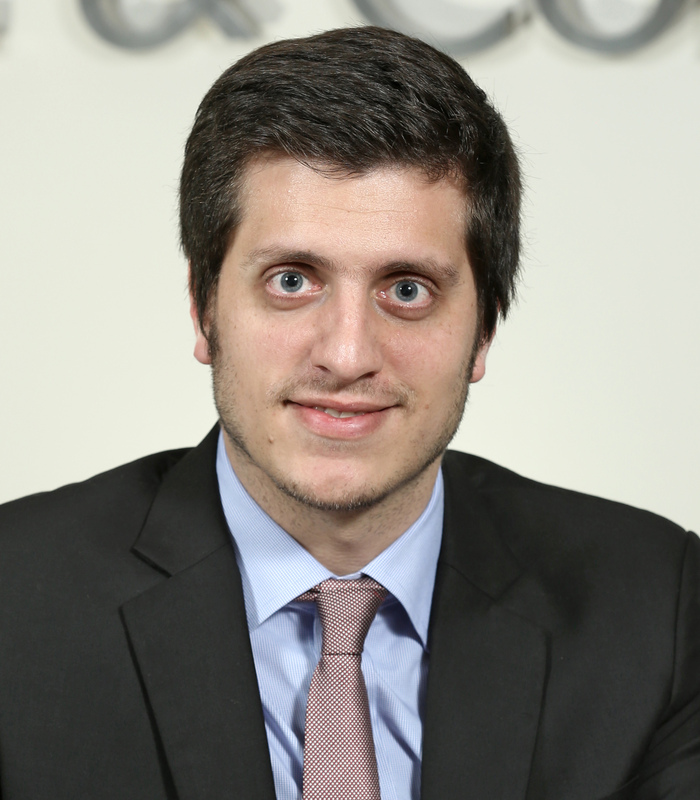 Lautaro Mazzeo is Public Affairs Manager at LLORENTE & CUENCA Argentina. He is a graduate in Communications from Universidad Católica Argentina (UCA) and is about to complete a degree in Politics, also at UCA. He is also a journalist with TEA. He was on the editorial board at the magazine Gente and the daily Clarín and worked at Boca Juniors in the area of institutional communication. He began his career in legal monitoring for the private sector at Agencia FOIA and headed up the area of regulatory issues in LatAm for Directorio Legislativo. He worked with clients in a number of industries, including food, telecommunications, construction, automotive, and finance. He joined LLORENTE & CUENCA in 2016.